With Summer in full swing and the weekend hours more precious then ever, I have been trying to tick off various things from my Summer Bucket List. 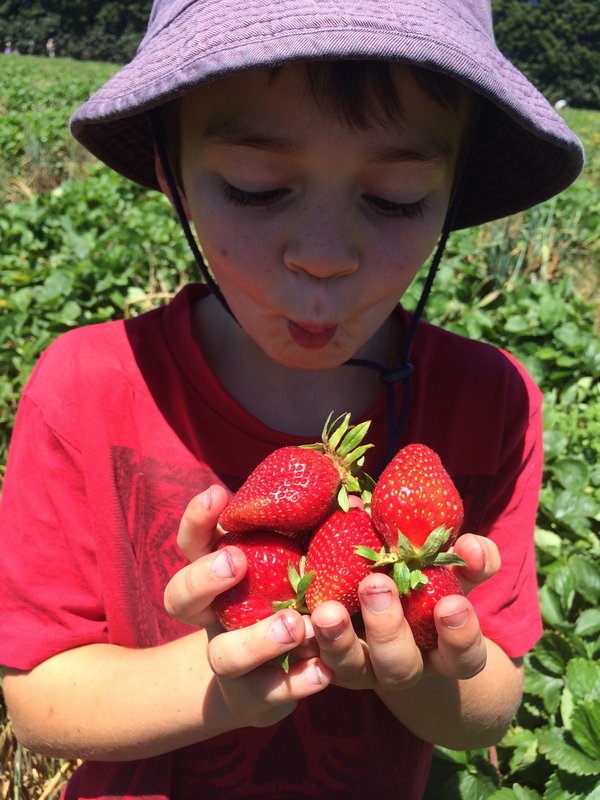 One of these was to gorge on strawberries at a pick your own farm, and with my two little brothers over for the day we had the perfect opportunity for it. 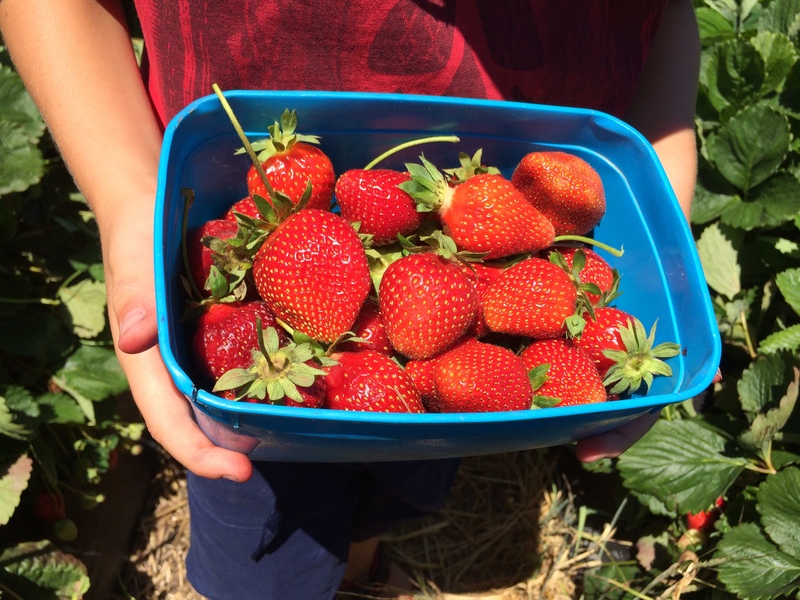 With a few recommendations from friends, we decided on Garelja Bros Strawberry Gardens and spent a wonderful half hour or so filling up buckets and containers (and our mouths) with the most beautiful and delicious strawberries I could imagine. 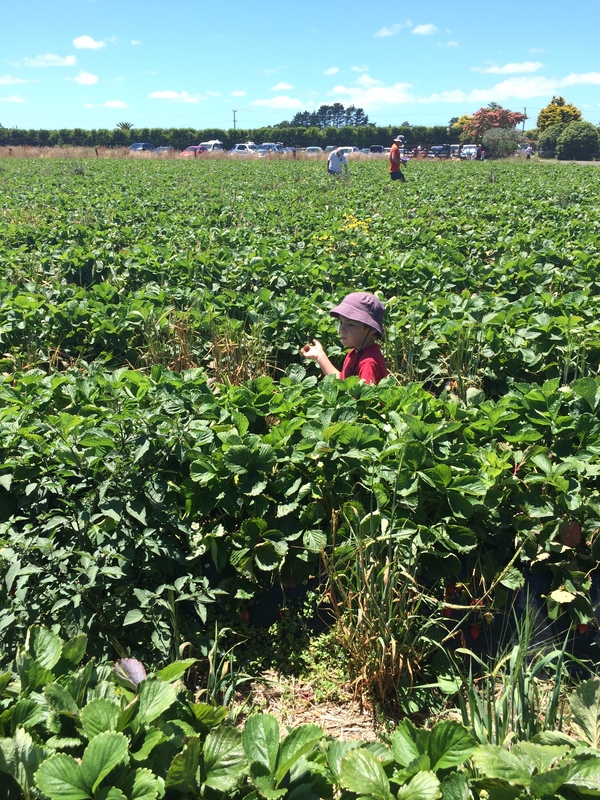 The boys had a great time and I was busy thinking of all the wonderful things I could do with the bounty we had picked. 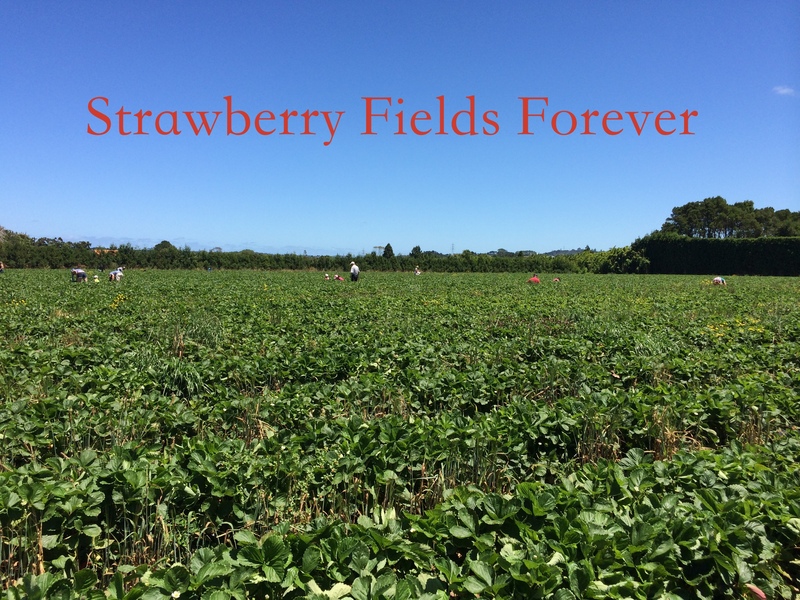 The hot sun was shining (we were slathered in sunblock), despite its popularity we never had to share our area with any other pickers and the strawberries were plentiful. Within 20-30 minutes we had more strawberries then we knew what to do with. The best part about Garelja Bros was when we came to pay, and found (to our surprise) that the mountain of juicy strawberries was only $15. We had expected to part with much more cash (rather happily) in exchange for our few kilograms of fruit. Unlike some other Strawberry farms, Garelja Bros doesn’t do their own strawberry ice cream, but their friendly staff recommended a spot called Juicy on the way back to the main road (turn left, left, left and its on your left :)) that specialised in fresh strawberry ice cream, as well as Coffee, smoothies and gelato. Somehow we found room in our bellies and sat on some beanbags in the shade with a monster of an ice cream to devour. I’d like to say that it was so big I couldn’t finish it..but I’d be lying. Both of these spots were cheap and friendly and provided the 4 of us with a highly enjoyable afternoon in the sunshine. Even better, I now have 4 kilos of strawberries in my fridge and freezer. If you haven’t been yet, Garelja Bros may only be open for a little while longer (check their Facebook page for details) but I highly recommend them if you get a chance between 10am and 3pm. They charge a very reasonable $5 a kilo and if you can, bring a flat tray to lay the strawberries on in the car so they don’t get smooshed. 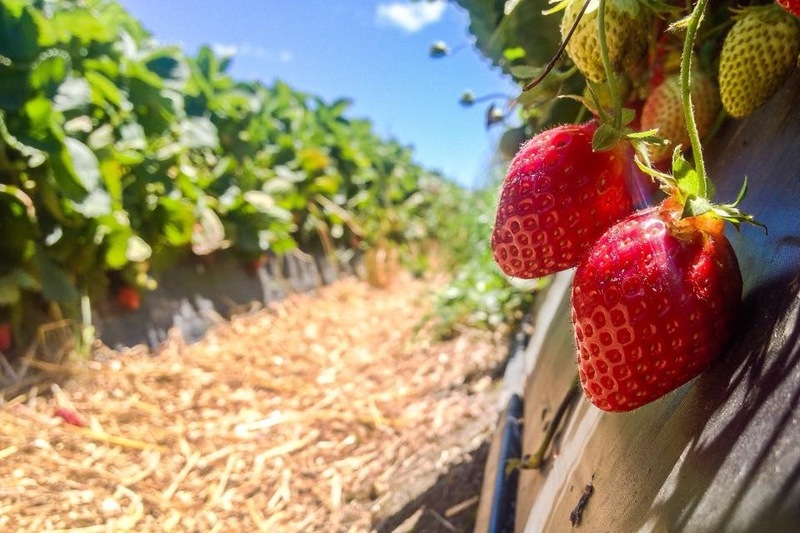 Let me know if you have any favourite strawberry spots in Auckland and what else is on your Summer Bucket List! You can see Mr 7 eating on the job here. Cheeky. Wow, what an amazing day out, Lizzy! 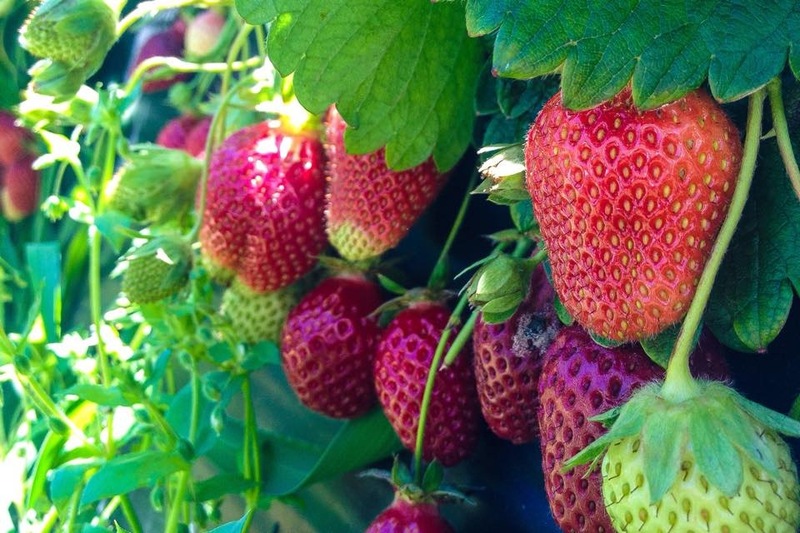 Those strawberries look so incredibly luscious. Adding this experience to my own Auckland bucket list now! 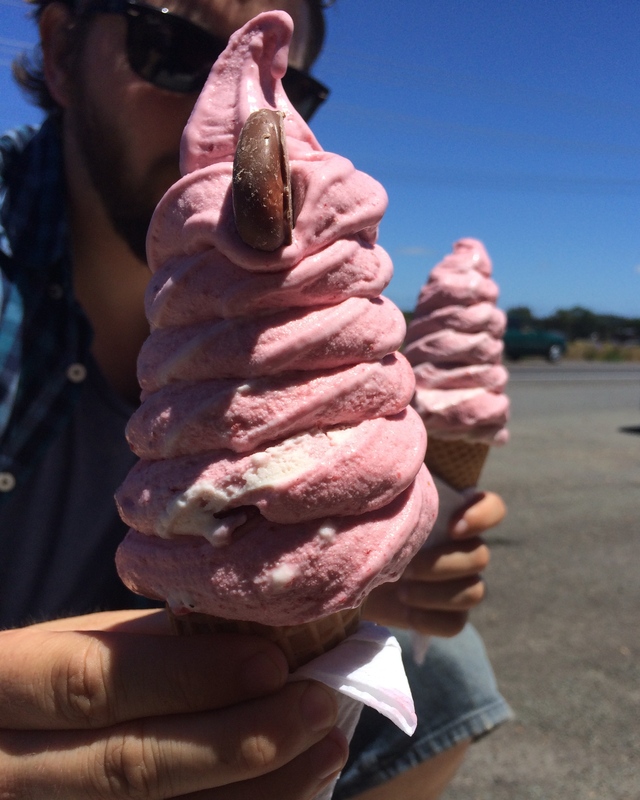 I am so hungry looking at those huge ice creams! What a fab day out.